Fashion takes time. One of the master craftsmen Gucci takes almost two days to assemble one of the bags xquisitos Stirrup, and New Bamboo bag can take more than thirteen hours of manual labor to assemble its 140 pieces. As for the craftsmanship that goes into the development of an iconic Jackie, it is clear that making fashion history is not for the weak. Gucci made during the month of September the launch of “Icons of Heritage – Cut & Craft”, Gucci’s new global campaign in the media, the fans of the firm will be able to carry the brand’s history and heritage their homes. During that month, the campaign alojaro a dedicated tab on the Gucci and tabbed pages located in Korean and Japanese brand. The result? 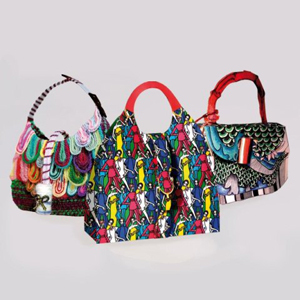 After hundreds of submissions and thousands of votes, the winners, selected by creative director Frida Giannini of Gucci, which said he likes especially attractive colorful designs, leading to his selection. Congratulations to Monia di Liello of Italy (New Bamboo), Gerardo Larrea Peru (Stirrup) and Soyoung Jung of Korea (Jackie). Bravi!